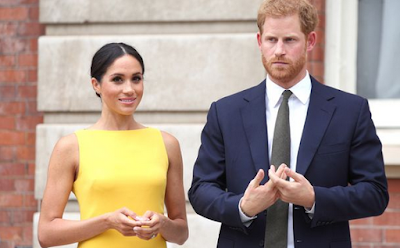 Meghan and Harry’s little one won’t receive the title of prince or princess, but the couple will likely give them a very traditional name.Bookies are already favouring names of former monarchs or significant figures in the royal family, such as Victoria, Arthur, Albert and Diana. But it’s unlikely Harry would choose to name his son – should the couple have a boy – Arthur or Albert. And it’s all to do with his mother, Princess Diana. In interviews with Andrew Morton, the author of Diana: Her True Story – In Her Own Words, Diana revealed why she named her two boys William and Harry. This suggests Diana was given four names to choose from when her boys were born and she was never going to choose Arthur and Albert as she’s not a fan of them. The Duke of Sussex might choose to include Albert somewhere if he has a boy, passing down one of his own middle names to his son – just as William has done with his two male children.